How fast they grow up. It's so bittersweet. You want to see them grow up, what they'll do next, who they will become....but you also want them to stay like this forever. Small, sweet, cuddly, and dependent on you for everything. How I will treasure these days and the sweet memories of this girl growing into a little person. I am so thankful that I've been here for nearly every moment of her life and that I get to spend everyday with her. I love you Jules! 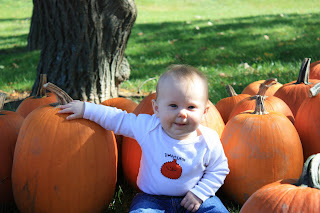 Can you believe next year it will start all over with another little one!?!? Now you know how I feel!! Don't blink - she'll be gone. Treasure every moment. I still treasure every moment I get to spend with you. Oh wow she is such a cutie!! and soon you are going to have another adorable one :) thanks so much for the hair advice! Oh how fast they grow!! This is such a sweet post, I CAN'T WAIT!!! I have fallen in love again, with my wonderful wife and my sweet daughter. In one year, we have all grown so much...together!